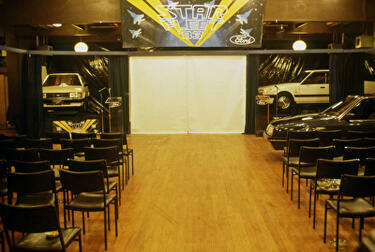 A scanned copy of a photograph depicting the set of a play titled 'Star Fleet'. 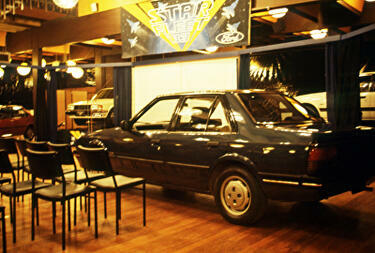 The photograph is from 1983. 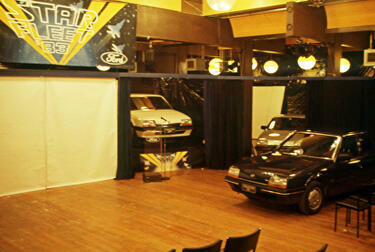 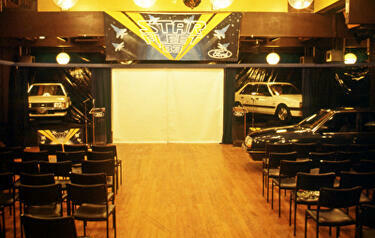 A scanned copy of a photograph depicting cars on the set of a play titled 'Star Fleet'. 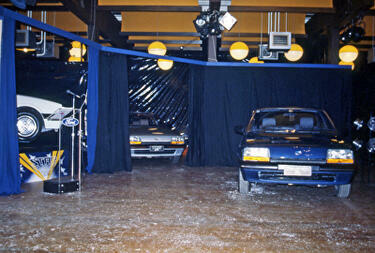 The photograph is from 1983. 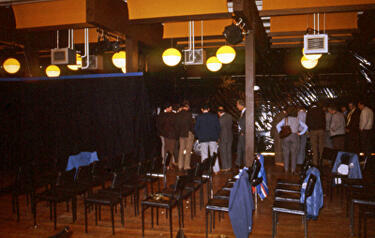 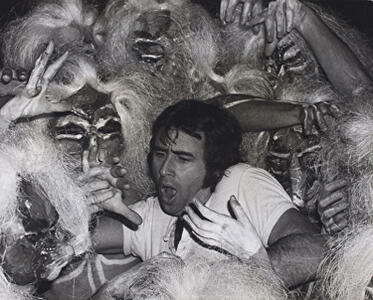 A scanned copy of a photograph depicting the audience gathered on the set of a play titled 'Star Fleet'. 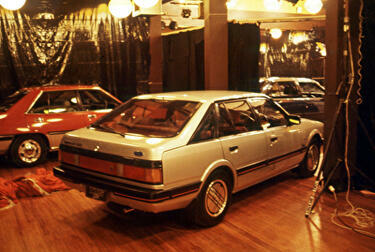 The photograph is from 1983. 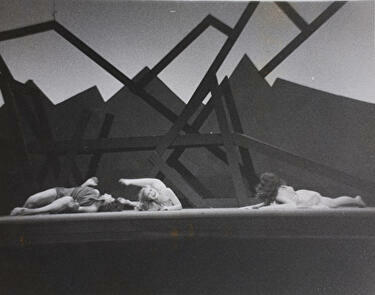 A scanned copy of a black and white photograph of the DramaSoc production, 'Peer Gynt'. 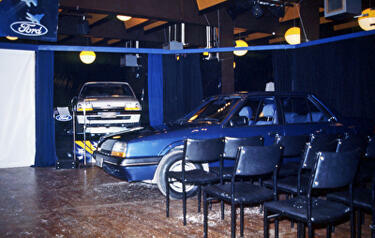 The play was performed at James Hay Theatre in the Christchurch Town Hall in 1973. 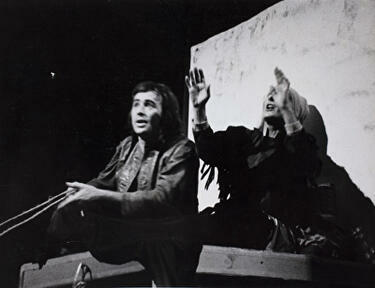 The photograph was sourced from the DramaSoc archives held at Macmillan Brown Library. 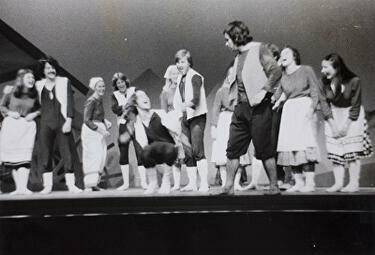 A scanned copy of a poster produced by the University of Canterbury Drama Society in the 1970s. 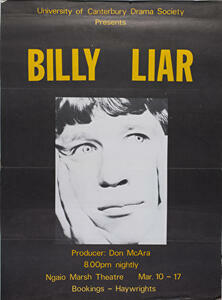 The poster is advertising a play titled 'Billy Liar', performed at Ngaio Marsh Theatre in the UCSA building. 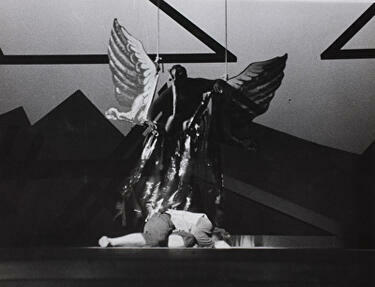 The poster was sourced from DramaSoc archives held at Macmillan Brown Library. 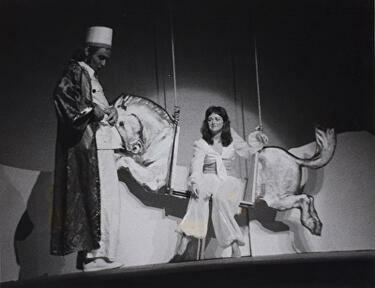 A scanned copy of a poster produced by the University of Canterbury Drama Society in 1973. 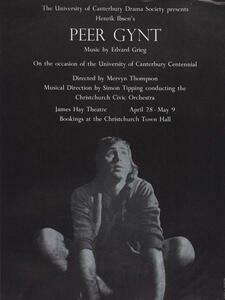 The poster is advertising a play titled 'Peer Gynt', performed at James Hay Theatre in the Christchurch Town Hall. 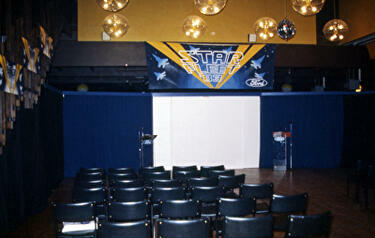 The poster was sourced from DramaSoc archives held at Macmillan Brown Library. 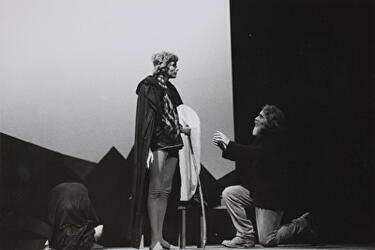 A scanned copy of a poster produced by the University of Canterbury Drama Society in 1978. 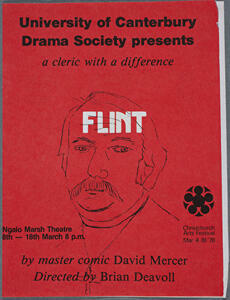 The poster is advertising a play titled 'Flint', performed at Ngaio Marsh Theatre in the UCSA building. 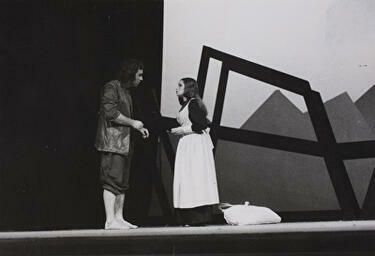 The poster was sourced from DramaSoc archives held at Macmillan Brown Library.